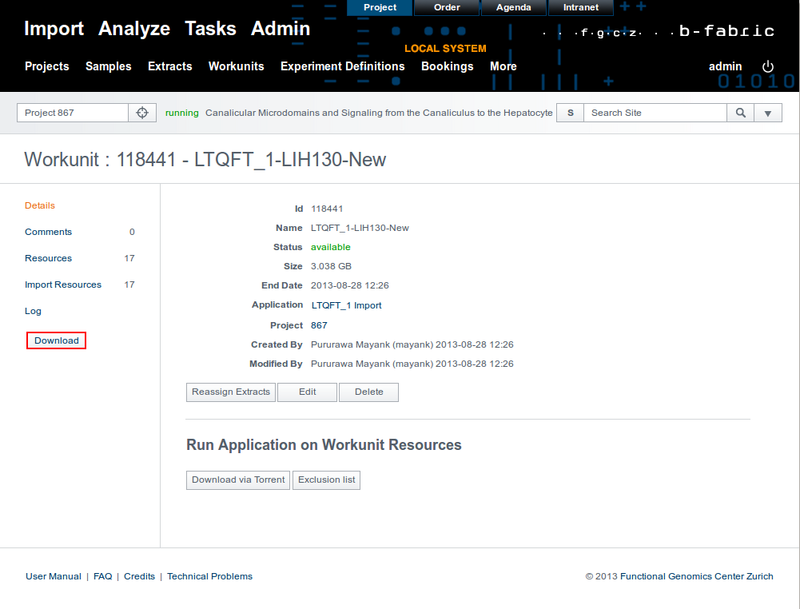 On the show workunit screen you can find the Download button at the left of the page. When you click on the button, a warning message will be prompted by Java for security reasons unless you have checked the corresponding box. Extra information for Apple User about Security Settings. 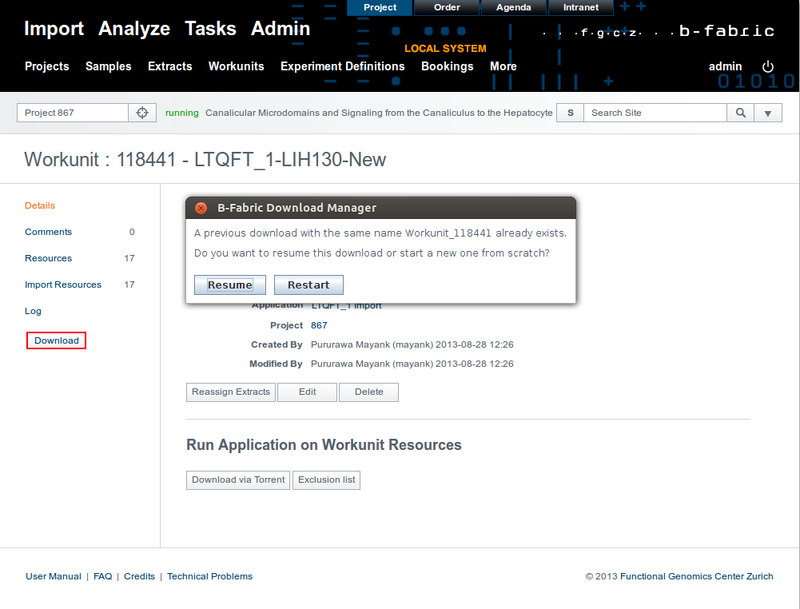 A download starter file (ends with jnlp), which contains the entire download information, is created. This file can be used to resume the download in case it was is stopped/paused. After the download is completed, this file will disappear. 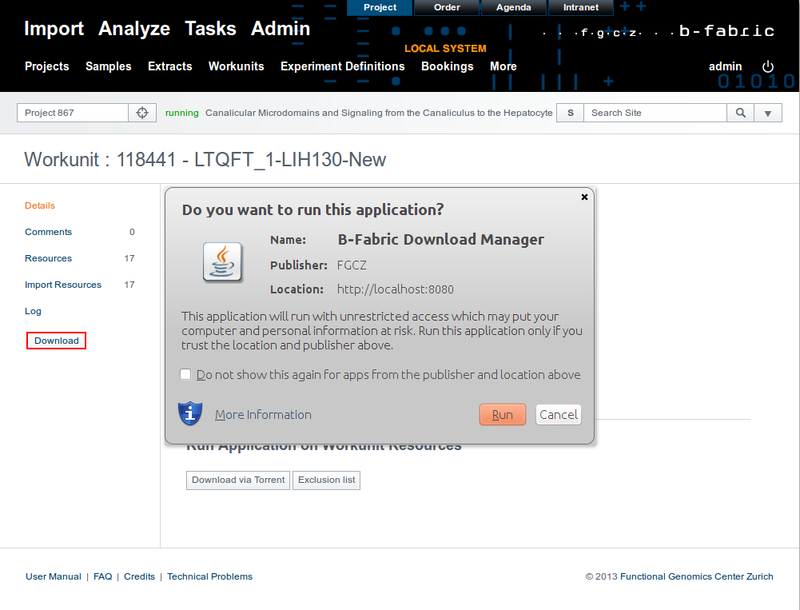 If you stop the current download, you might resume it via B-Fabric by clicking Download button at the left of the page again or you can directly execute ResumeDownload.jnlp file in your local download folder. Created by schmidt. Last Modification: Wednesday August 17, 2016 16:03:01 CEST by schmidt.